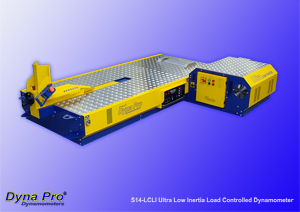 Details and Specification of S14-LCLI Ultra Low Inertia, Load Controlled Dynamometer. 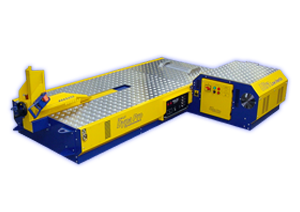 The Dyna Pro S14-LCLI Is an Ultra Low Inertia, Eddy-Brake Controlled Dynamometer and has been designed and developed for the ‘Professional’ engine tuner. All Dyna Pro Dynamometers will provide consistent, repeatable results. Designed around a machine with a manufactured drum inertia of just 1.4 kg/m², all engine loading is applied by the eddy brake. Sweep, Step, Wind Drag simulation etc can all be tested with the S14-LCLI. Ultra quick, stable load cell control due to the low rotating drum mass and high speed data acquisition, unrivalled by anything else in it’s class, it truly has to be seen to be believed! Easy bike loading with a platform height of just 315mm. No PID parameters to change to allow constant Speed, RPM holding. 12 Data acquisition channels as standard. Horsepower and torque figures are all calculated real-time and can be displayed using any test. Above all, Superior British Quality........that's why we're leading the way in Dyno Design and Manufacture!